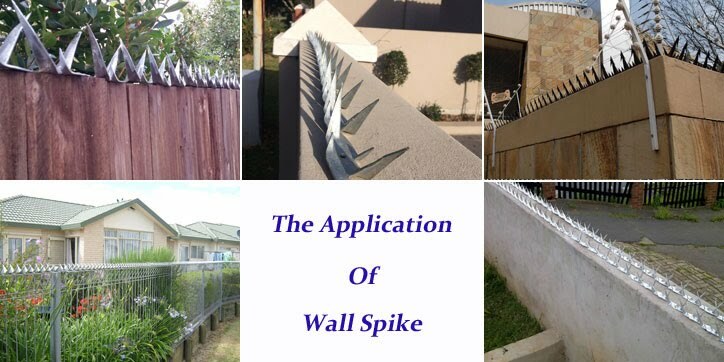 Wall Spikes is kind of security fence topping (also know as Razor Spike).Anti-Climb wall spikes are a simple effective method of enhancing the security of an existing wall or security fence. Hot dip galvanized; Hot dip galvanized and powder coated to any other RAL color. Low Cost and Easy to Install; Effective Intrusion Deterrent.